R501T III gives you full control over your sound. It makes sure your favourite movie, TV, music and game sounds exactly the way you like it. A multifunctional remote allows you to effortlessly adjust inputs, tracks, volume and bass and treble levels. 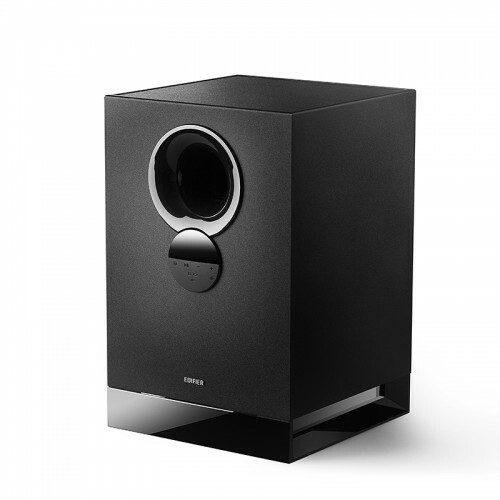 On the front of the subwoofer, you'll also find a stylish digital display for visual adjustments and settings. 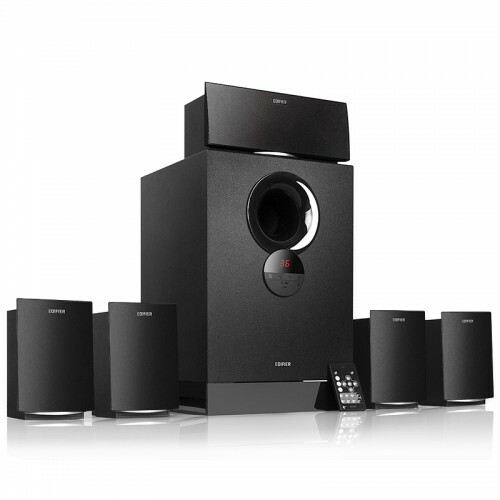 With R501T III 5.1 speaker system, remarkable surround sound is yours for the taking. The 8-inch bass driver produces an impressive 38 watts of rich, deep bass. While the 5 satellites each delivers 11 watts RMS from the 3-inch drivers, for a total output of 93 watts RMS.For enhanced bass, this 5.1 speaker system is also equipped with a calibrated, flared front-facing bass reflect port. 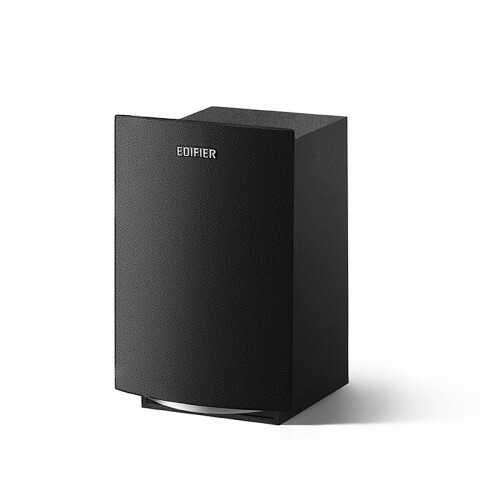 And with Class D amplifier with Digital Signal Processing (DSP) technology, R501T III is the ideal all-in-one solution for home entertainment. 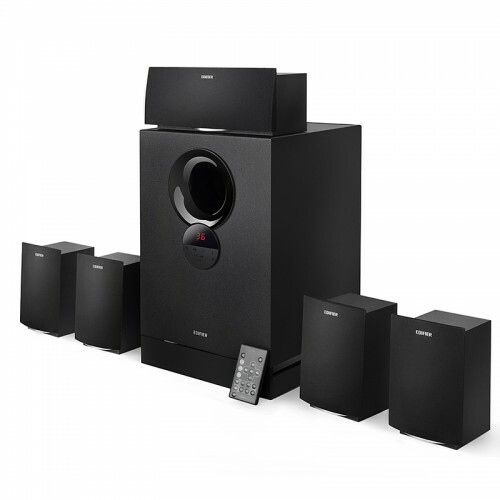 A functional and versatile 5.1 speaker system, R501T III can be connected to an array of audio sources using the 5.1 or dual stereo input options. Or, plug in a preloaded SD card or a USB drive for quick and easy plug-and-play audio. 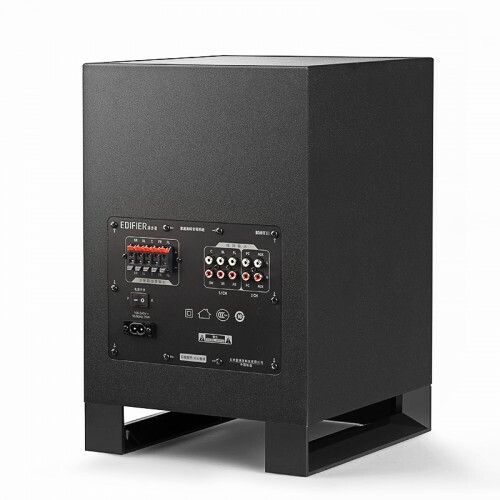 Authentic surround sound is that simple.R501T III also features a built-in high efficiency switching power supply. So it's not afraid to pump up the power when you need it, but it keeps consumption low when the system is on standby.